USA (MNN) – Twenty-five years ago, Mission Network News started as a desire to help Christians “pray at the speed of news.” For the past two decades, they’ve been able to do that as a service of Cornerstone University. But now, with God’s fingerprints all over the future’s blueprints, it’s time to move on. This doesn’t mean Mission Network News will close its doors, only that it’s time to hand off the baton. And God has the next runner ready and waiting, OneWay Ministries. It’s transitions like these that remind Christians we are all on the same team. We’re on God’s team, bringing His mission along. Cornerstone has carried Mission Network News for a long time, but now God has called OneWay to the line. Mission Network News will continue to bring you the quality news you’ve grown to love. Beginning June 1st, Mission Network News will officially be a service of One Way Ministries. But partners, listeners, and readers alike can expect the same quality and care they’ve come to love from Mission Network News. “So we’re really saying yes to our dream for Mission Network News and the whole issue is what’s best for the kingdom, not what’s best for Cornerstone University. Where it lives doesn’t make a whole lot of difference to us. 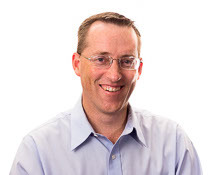 Just so it lives and it thrives,” Stowell explains. Michael Thompson, founder of OneWay, learned about Mission Network News about two years ago at Missio Nexus. He was thrilled to find a news station with the same vision as their ministry. “These guys make the news available, they record the news on a daily basis—something that is desperately needed,” he says. OneWay exists to serve God on many fronts. They desire to proclaim God to all nations. One of the ways they do this is through their Prayercast—multimedia resources designed to unite Christians in prayer for countries around the world. But they also have a desire to share current news and prayer points. 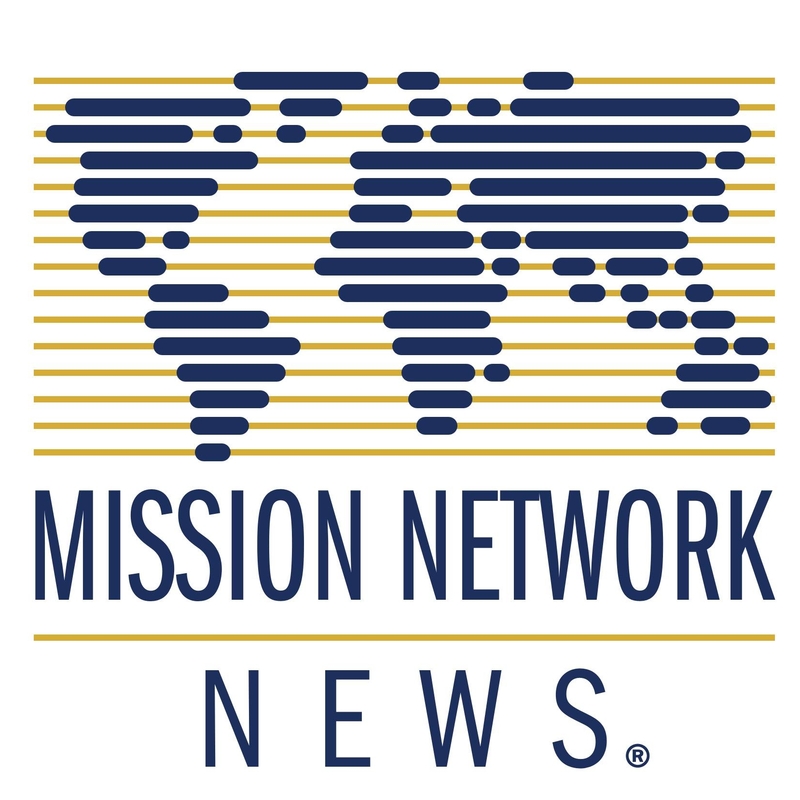 Similarly, Mission Network News works to get Christians informed and involved in God’s global Mission. When it became apparent in the last few months that OneWay might have the opportunity to take on Mission Network News, they were ecstatic. Michael Thompson, founder and Executive Director of OneWay Ministries. “We just were super excited because we really had come to know and love Mission Network News,” Thompson says. In just a couple of weeks, Mission Network News will join forces with OneWay—not to change the face of what they do, but to pool resources for a greater impact on the world. But the vision stays the same. He says their immediate focus is for both groups to learn to work together effectively. Ruth Kramer, producer at Mission Network News, will make the transition to OneWay Ministries. She will become the lead contact for partners and their point person to introduce them to OneWay Ministries team and staff. Some technical adjustments occurring include the recent change in the four-and-a-half-minute broadcast. The current format allows for great detail and expansion coverage in radio stories. The other change taking place is a move to beat reporters. Reporters assigned to partner organizations will be in charge of their stories as well as fostering the ongoing relationships. Mission Network News is switching to a remote office format with the main office residing with OneWay Ministries in Naperville, IL. The studio will remain in West Michigan. By joining forces of media, news, and radio, they will have more opportunities to share information every Christian should want to know. As Mission Network News makes this exciting transition, you can be praying for three things. One, pray for wisdom for all parties involved. Two, ask God to guide both organizations in continued unity. “The thing that’s exciting is that our hearts and our cultures are so aligned with the team at Mission Network News that we already have a strong sense of unity,” Thompson says. The third thing is to pray for a collective vision as these groups move forward together to serve God around the world. Thanks for your partnership and walking with us over these last years. The plan is to continue to bring you the same quality news that we’ve been doing. As a station affiliate, you won’t notice a difference in what we cover or how. In the not-too-distant future, we are hoping to augment our audio and web content with the video content that One Way is known for. I hope that answers your questions! 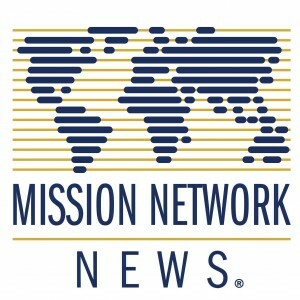 I am glad to hear what God is doing with Mission Network News because I receive and read it every day through my email. I am interested in your comment about roving reporters – what that would look like and whether you are looking for people to fill those roles. If so, I would appreciate details I could use to point a potential reporter in your direction. Lord Jesus I thank You for bringing together your people and ministries to make them more effective in reaching people for Your Kingdom. Please bless those carrying out the work with extra wisdom and fortitude. May Your Holy Spirit lead them in the Father’s will. Bind the powers of evil and the evil one from all harming your workers and work. Make this work a continuous blessing to reaching the lost,lifting the load of people and and spreading Your love. In Jesus name Amen. Congratulations on the transition! Mission Network News provides a valuable information service to the greater Christian community. We look forward to a continued prosperous relationship as this change takes place. God bless you for your service!! Every day I check in with MMN; learn about what God is doing all over the world; pray for the various ministries and saddened by the poverty and heartbreak in so many areas of the world. Thanking God for the many years of service of MMN and know it will continue being strong. Praying for a smooth transition in the following weeks. Ruth and her staff not only have a heart for missions, particularly the Persecuted Church, but are professionals in every sense of the word. 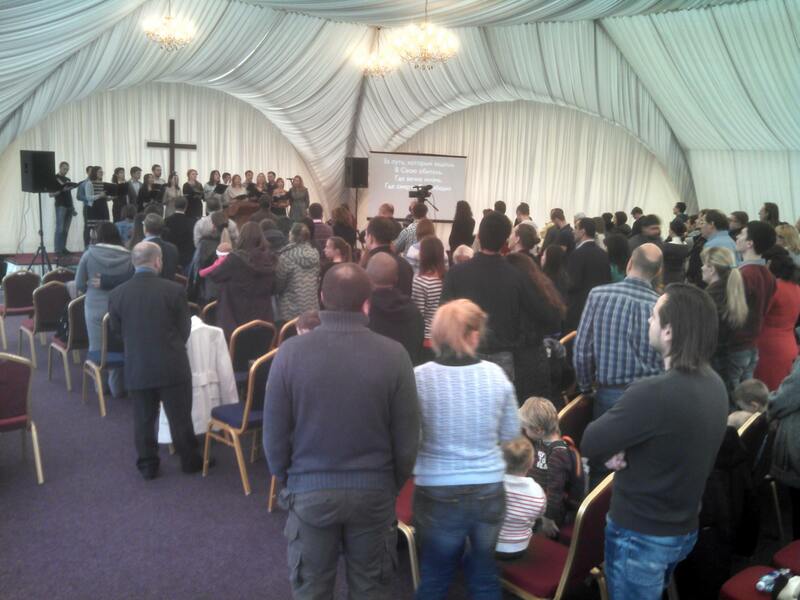 Cornerstone is losing a ministry which goes far beyond the doors of the college. Christian Aid Mission has been a longstanding partner with MNN and we are excited for this new collaboration with One Way Ministries! Your email brings the joy of seeing God’s kingdom expansion along with understanding the serious needs of our brothers and sisters to our minds for daily prayer and praise. God bless you for all you’ve done and prayers for peace and wisdom as you go forward. We have been affiliates for many years and love MNN…We pray for a smooth transition and for continued growth of MNN….I simply could not imagine our format without MNN!! I am a news anchor, formerly with a Christian news organization; not looking for employment (we have a wonderful ministry in Tennessee! ), but I’d be glad to help out, especially during the transition if you could use me from here. Blessings to you all and you are in our prayers. Hi Ed, Thank you for your kind generosity! Fortunately, God has been providing for us and the transition has been going smoothly. But prayers are always welcomed! Thank you again! this is so exciting! our church so values your ministry because it is an encouragement to believers who listen too much to the mainstream media. Your reporting is so trusted. Your articles are a staple to our weekly church bulletin that goes out to so many. I am so expectant that God is up to mighty things in this next phase!! It is great to hear that God is using mightily for the lord.plz pray for us as we are in north India CHURCH planting in north Indian villages. Iam Pastor sundara rao Sandhi, Gethsemane ministries India. Wishing to fellowship with your missionaries. Please enroll me in your missionaries list and send me Missionary reports for my work encouragement in India . Please keep us in your kind Prayers for my ministries in India . Please give an opportunity to be with your fellowship. Please pray for our ministries name orissa missionary movement Odisha State in India. We welcome you to visit our ministries. We need your cooperation for gospel work in Odisha State India. Together we can reach to unreach with Good News of Jesus Christ. I was one of the guy receiving this message. 2 great mission organizations in unity & prayercasts too! The blessings are multiplying, keep up the great work! Pray for wisdom, unity, and shared vision for the teams of OneWay and MNN. Youth is wasted on the young -- or is it? Youth is wasted on the young — or is it?